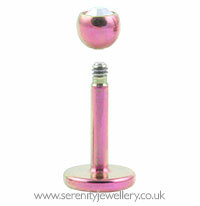 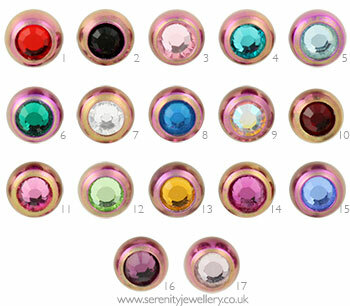 Hypoallergenic pink titanium jewelled labret studs secured by 3mm or 4mm screw-on balls. The flat back makes these studs particularly comfortable to sleep in. 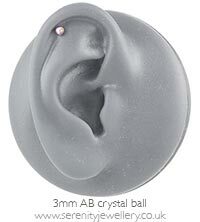 Compatible with any of the 1.2mm gauge screw-on accessories. 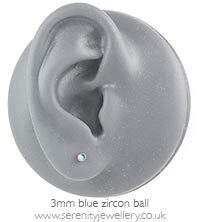 I do find these a little fiddly to put in but they are really comfortable once I have managed it. 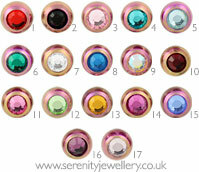 Look great without being in your face as they are smallish.